The shooter clearly had hate. Where it was directed, we don't know. But are you really surprised? Already in the comment sections of major media outlets, there are thousands of people lashing out at each other and spewing hate, throwing blame, and making the issue about race and politics. We have a hate problem in this country. And it has nothing to do with race. If you lined up the killers in the deadliest major shooters in America in a row, you'd have a poster for ethnic diversity. If you lined up all of the victims, you'd have the same. As of press time, the hate-filled posts had over a thousand likes while Langley’s had a mere 350. Welcome to 2017, where outrage is our new form of recreation. People who hate will find different outlets to direct their hate at, but the target of their hate is never the real issue. One might compare it to a drunk guy punching a hole in a wall. He doesn't care what wall he punches- he just punches the closest and most convenient wall. That's the way it is with this hate. But the problem is that no one ever tells that drunk guy to lay off the booze or to go to rehab. The problem isn't just with the guy either- it’s with those who encourage him to keep punching. Maybe it makes us feel better about ourselves- hey, we're not the ones punching the wall, right? Maybe we want to hate vicariously through him because we are too weak to punch a wall. But when he does it, we get some sort of relief. As the public, we record it, we share it, and we encourage him to hit harder- because we are a country that loves to hate and then turn around and be outraged by those who hate as hard as us. As a nation, we fan the flames of hate each and every time we post or share hate-filled or sensationalist rhetoric. We spread the hate when we make hateful comments on one another's posts or we immediately hate someone based on their opinion. Last week, we hated each other based whether or not grown men (whom most of us don’t know) chose to kneel. 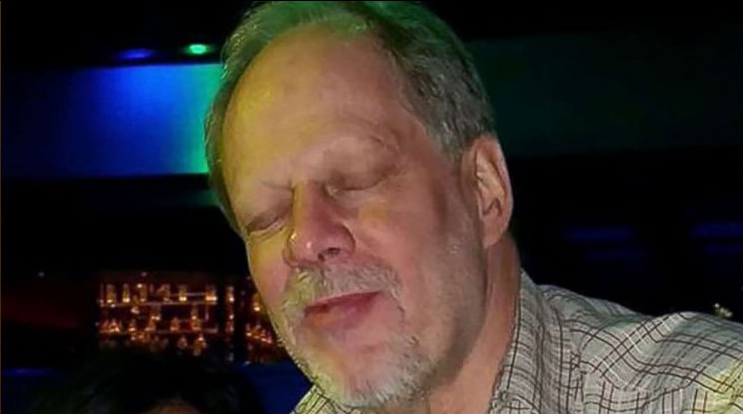 I'm sure the shooter was mentally unstable to a certain extent. Anyone who can do such a thing has to be somewhat mentally unstable. But based upon what we know, this man kept whatever mental illness he had buried inside for over six decades until something brought out this hate that was bottled up inside him for so long. That hate will continue to drive mentally unstable people, like the shooter, to take hundreds of lives. It needs to stop right now. We may think that we are immune and not part of the problem, but we are. Jordan LeRoy, popular fashion designer of the VSTRO brand, makes the valid point that "in a grander sense, we are all connected. And we all lost a part of ourselves in that crowd whether we choose to realize it or not." If we expect the hate to stop, we must begin to use that logic and reason in our dealings with others. We must also walk away from the recreational hate and outrage that so many of us regularly participate in. Langley summed it up best by saying, “If we want a safer world for our children... for our future.... take a good look at yourself, and ask ‘Am I fanning the flames of hate?’"